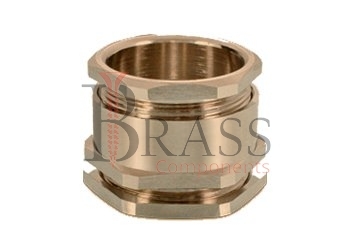 PG cable Glands are manufactured from high quality brass, nickle plated brass, aluminium, stainless steel, plastic and polyamide material. The manufactured range of PG Cable Glands are compiled to meet the BS: EN 50262:1999 Standards. Available range of PG Cable Glands are available with strain relief and vibration lock features. Cable Glands with PG threads provide high IP Protection and mechanical fastening. PG cable glands are available with high mechanical stability and optimum strain relief with hex fitting. PG cable glands are also available in liquid tight version. Based on Cable Glands applications and requirement, PG cable glands are available with different types of cable gland accessories including earth tag, lock nuts, reducer, adapters, pvc shrouds, serrated washers and more. 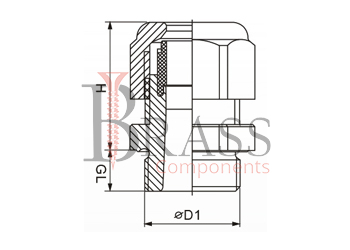 Provide maximum strain relief through clamping range. PG Connection thread in accordance with DIN 40430. Available with Robust and watertight features. CE, UL and cUL approved PG Cable Glands. Provide mechanical cable retention and electrical continuity. Provide easy and quick installation. Provide optimum performance and functioning. For all types of Indoor and Outdoor applications. Widely used in pumps and switches. For widely used in Construction, Electrical, Marine, Oil and gas, Instrumentation, Telecommunication and other Industrial Sectors. We manufacture PG Cable Glands as per Custom Specification and export in France, Italy, Switzerland, Poland, Greece, UK and other European Countries. For more Information, Please Contact Us or Inquiry Now.